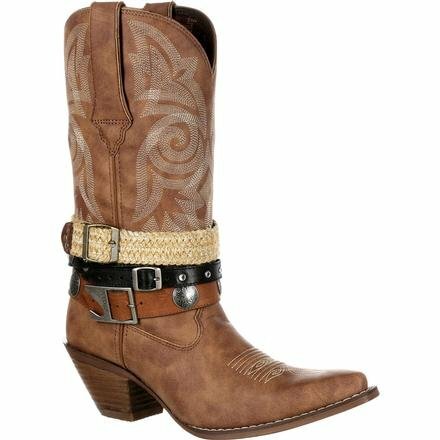 This Crush by Durango® Women's Accessory Western Boot is all about mixing things up to create your own look. 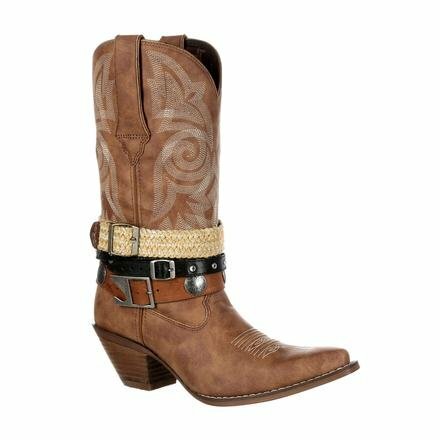 Durango gives you straps for each boot that you can adjust, rearrange and remove to customize your look. 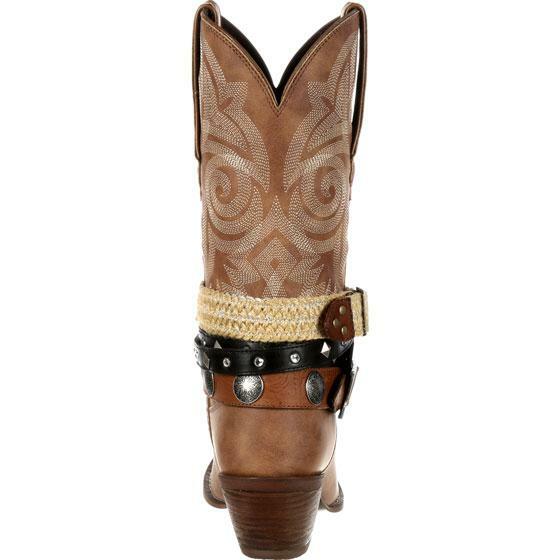 Straps include full-grain leather and jute materials, all with antiqued metal hardware. 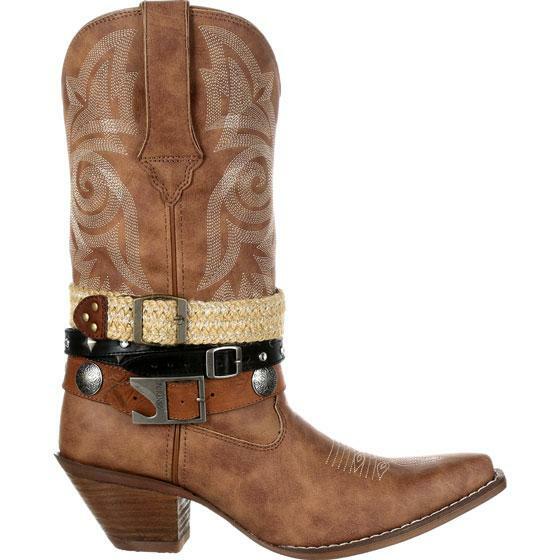 One buckle also is a bottle opener! 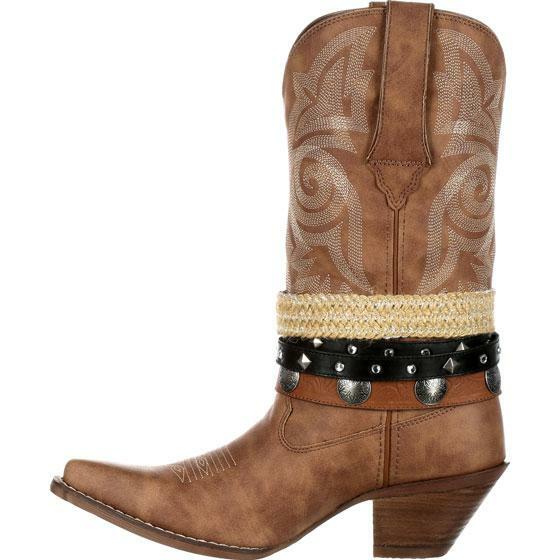 With all the possible combinations, you can create many looks with just one pair of tan boots. Choose your accessories for the day based on your outfit "” or your mood! 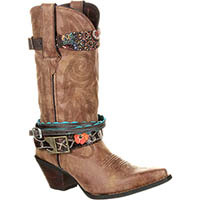 This tan cowgirl boot is 12 inches tall with a snip toe and a 2 ¾-inch heel. 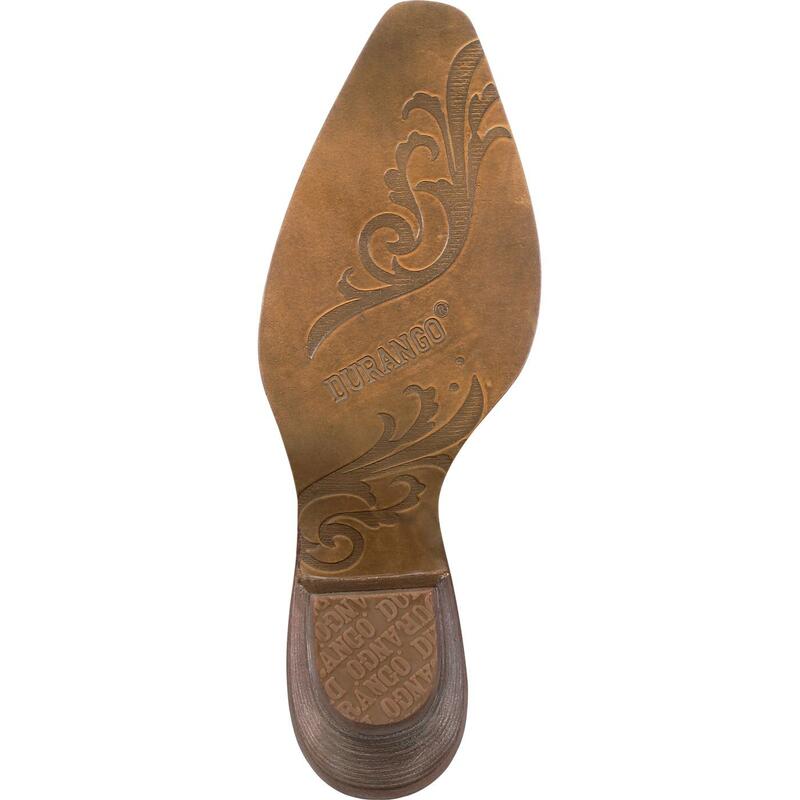 The rubber outsole is comfortable and has a smooth filigree finish that adds extra flair even to the underside of your boot. Inside the women's cowboy boot is a Cushion Flex insole that provides comfort with every step. A tempered steel shank gives you arch support. The mesh lining lets air circulate to your foot to keep you cool. 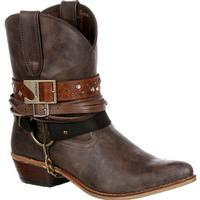 Ready for a trendy boot that you can style as your own? 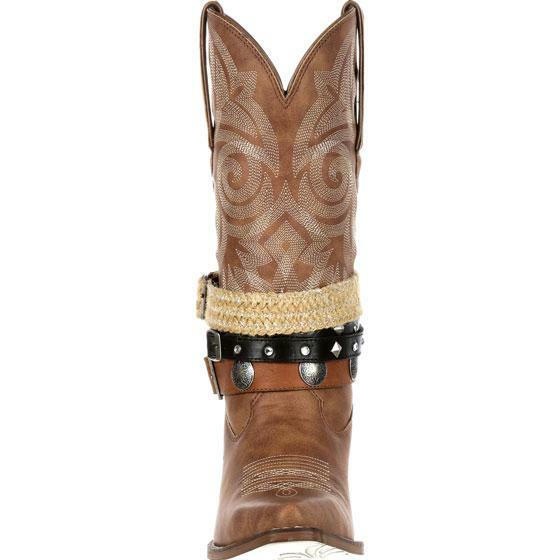 Make a statement with this customizable boot. Get Crush by Durango!